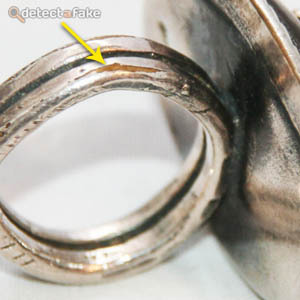 This guide is designed to help identify fake .925 sterling silver pieces, if you do not have any silver testing equipment. If your sterling silver passes all the tests below, it does not mean your piece is solid silver, it is only conclusive if it spots a fake. 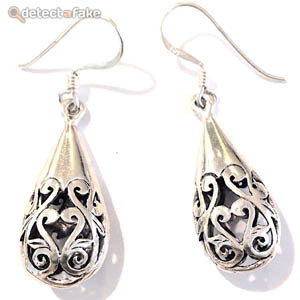 Purchasing a piece of silver without the proper testing devices is highly discouraged, but below are a few test to help determine if your silver is either not real, or it is plated. The first thing to do is the magnet test. Lay your silver piece on a flat surface, and with a strong magnet, touch the magnet to the silver. If the magnet sticks to the silver at all when you move away, your silver piece is not solid. Modern fakes rarely will fail this test but it needed to be mentioned. 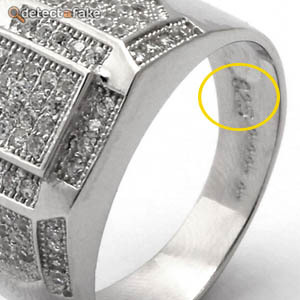 The stamp doesn't guarantee that the piece is authentic but it's what you want to see. If you don't see it, it probably isn't real. Watch out for chains! 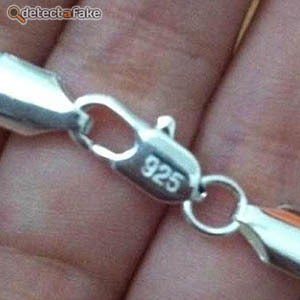 Many of the good fakes are actually real sterling silver on the lobster claw, but the rest of the chain is fake. Look for a stamp on both the lobster claw and the first link. 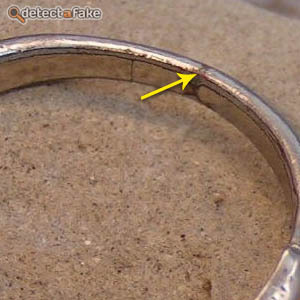 Next, if it's a used piece, look for signs of wear. In the above pictures, you can see where the plating has worn off and the metal below is showing through. Both of these pieces should be easily seen as plated. I have seen people tell how to perform your own density test. Do not do this unless you know what you're doing. 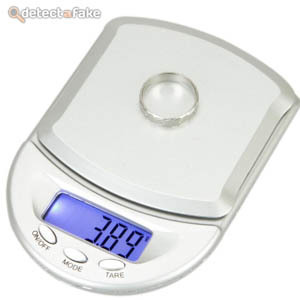 The way a density test works is to weigh a piece of silver and then to weigh it again in water. This only works if the water is not part of the weight equation. 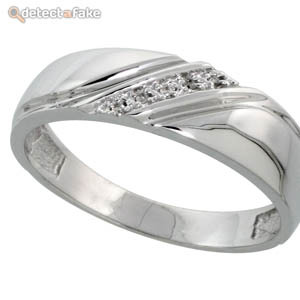 For example, you would need to weigh the silver, and then weigh it again while suspending it in the water. Difficult to do without some kind of suspension scale or a density tester.